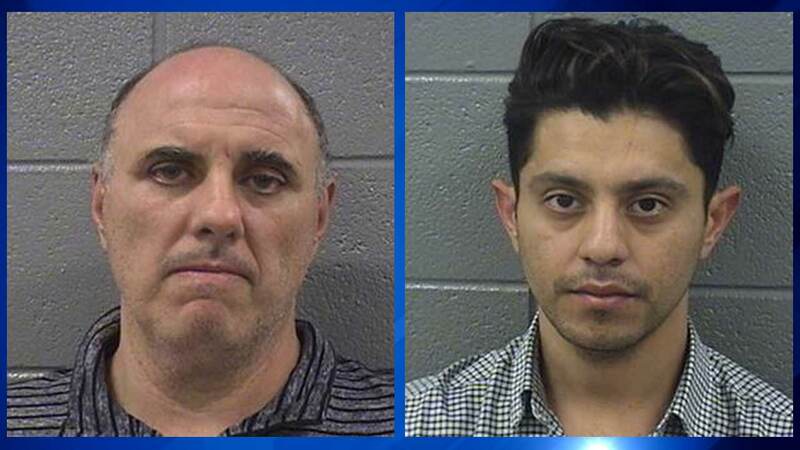 Vito Stramaglia, 47, of Ohio (left), and Hugo Santa Maria, 28, of California, have been charged with misdemeanor animal cruelty. CHICAGO (WLS) -- Two men have been charged with animal cruelty after Chicago Police say they found seven dogs in the trunk of a vehicle on the city's North Side. Police were responding to an animal abuse call around 12:30 p.m. Friday in the 100-block of East Chestnut Street. Hugo Santa Maria, 28, of California, and Vito Stramaglia, 47, of Ohio, were subsequently identified as offenders and charged with one count each of misdemeanor animal cruelty. The dogs were turned over to Animal Care and Control.